We’ve Moved: We are excited to share that we have moved to our new facility just down the road where we have a brand-new Design Center. We look forward to you stopping in to see it yourself. Our new address is 6086 State Route 241, Millersburg, Ohio 445654. 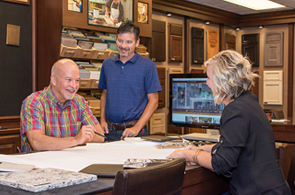 Since 1975, it has been the Mullet family’s goal to provide our clients with a premier experience when choosing custom cabinets. 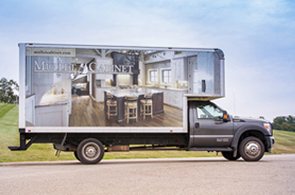 Located in the heart of Amish Country, Ohio, Mullet Cabinet is a family owned manufacturer of quality custom cabinetry. 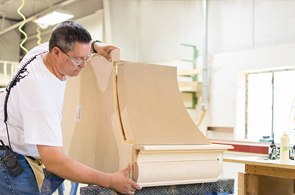 Founded in 1975 on the core values of integrity, honesty and a strong work ethic handed down to us from our Amish Heritage, we have been creating handcrafted custom cabinets and providing exceptional customer service for 40 years. We worked hard to create a website that matches the detail and quality of work produced by our craftsmen. 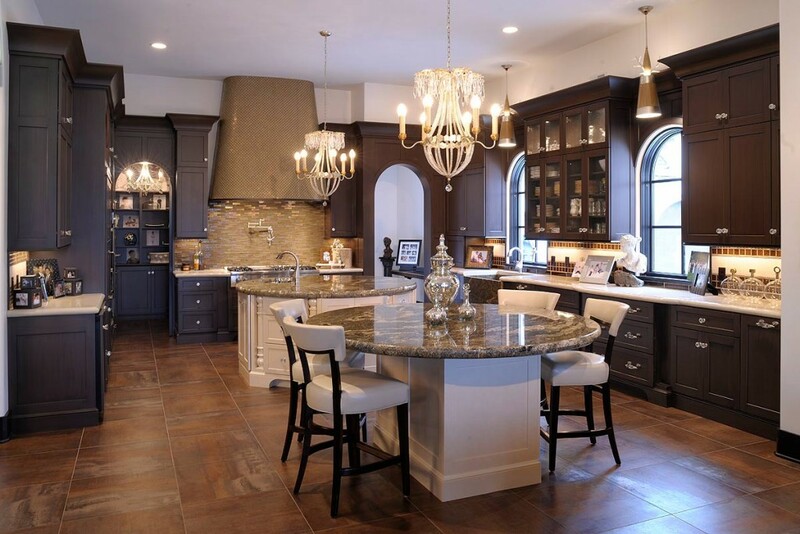 In doing so have put together a Picture Gallery of custom cabinets including pictures of Kitchens, Bathrooms, Laundry Rooms, Home Offices, Media Centers and Bars. Our new Cabinet Design Center has been created to inspire. 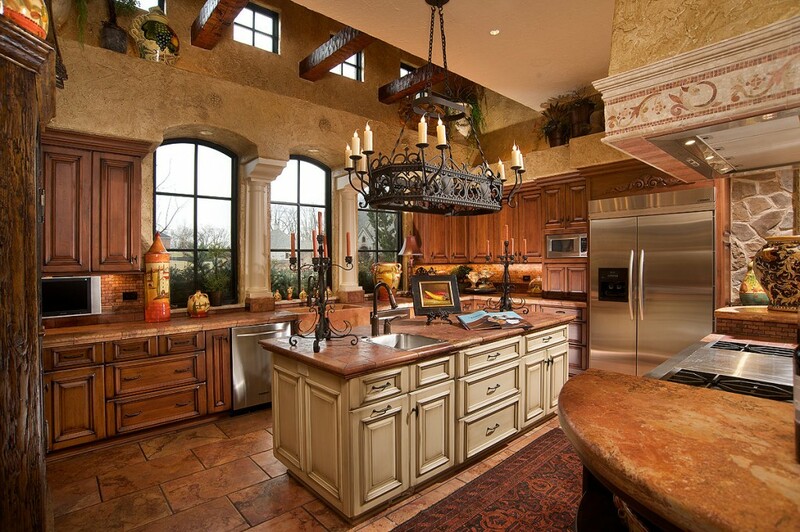 Working with our kitchen professionals, we design custom cabinetry for your home to meet your specific needs and taste. Our glazing methods, antiquing and custom finish abilities allow you to create your own atmosphere. We take great pride in the quality of our custom cabinetry and are excited to have the privilege of working with you on your project. Stop in today, we would love to give you a plant tour and show you what makes our custom cabinets unique.